Once completed in 2014, it will be home to 20 warships, including submarines, that the navy says will protect shipping lanes for South Korea’s export-driven economy, which is dependent on imported oil. It will also enable South Korea to respond quickly to a brewing territorial dispute with China over Socotra Rock, a submerged reef south of Jeju that the Koreans call Ieodo. Both sides believe it is surrounded by oil and mineral deposits. What has ended up happening is the people of this "village", about 1,000, are divided over whether it should be there or not. So much so that heated protesting has occurred and people are starting to avoid each other, some not even shopping at the same stores. What impacts me the most is hearing that those against the naval base say it will endanger the natural environment. To me that is very important and most land in Jeju and on the peninsula is constantly being taken up by new cities of concrete. However, what is most heartening is hearing about the varied protests and arrests occurring. When I turn on my TV the news channel shows people lying on the streets or chained to each other. 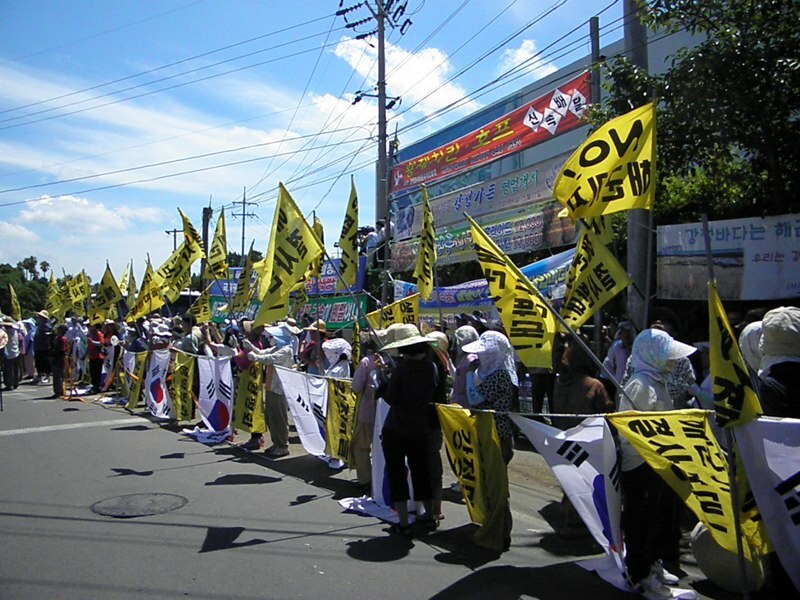 The newspaper "Jeju Weekly" highlights recent protests with photos and stories. 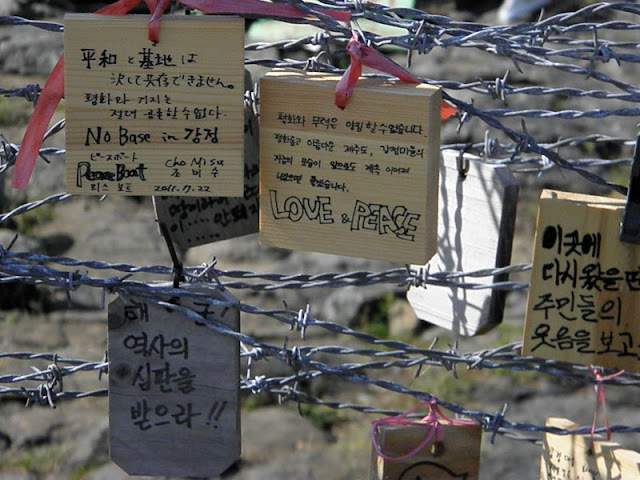 But if you really want to get the full scale ideal of the protestors than the site "Save Jeju" serves up a mouth full. Perhaps the other aspect, of this being a China and America thing, that tilts the scales of peace too far. Definitely, keep your eye on this news and maybe even discuss it with some Korean people you know. I have yet to talk about it with JH but hope to do so in order to get a better understanding.